Launching a website for your business is a dream come true. After all the hard work, sweat, and tears that you've put into planning and executing your business, it's only a matter of time that a website is put in place. With the help of a business website team, it is much easier now to achieve that dream of having a website to gain online presence and audience. Of course, it's more exciting to see the end product and show it to the world. But it's also essential to check the most important elements before letting your customers know. This is the most crucial part of having a website the first time - the inspection will help you see any flaws and have them fixed before making it live. Depending on the business and audience you have, your content should be able to deliver the message clearly. However, each and every page of your website should be checked before the very first visitor lands on your site. Ask your friend or colleague to do a second check and make sure it's thorough. While outsourced web development includes checking and corrections of content on your site, it's always best to do a second and third (and even a fourth) check to make sure it's 100% error-free and reader-friendly. The sitemap.xml file is found in the root directory. This allows search engines to find and properly categorize your website. Your small business website solution can help you find and submit your sitemap to all major search engines. Meta descriptions used to be among the relevant elements of SEO. Nevertheless, these are still very useful especially in providing short overviews of pages on a website. These are the wordings you see on the SERPs when you search for a specific topic and it's just below the bolded page title. Your contact details should be the very first element to check on your website and you can add or update them moving forward. Include in your business' physical address, telephone number, email, Skype ID, and other possible contact info. Online surfers are known to have very short attention spans. This is important to note because if you have a slow website, they will leave immediately. Ensure that your website is up and loading fast. You can check your site's speed using tools such as Pingdom. Check your website's compatibility across all possible platforms. You'll never know where your site visitors are coming from and what browsers or devices they're using. You can check your site's compatibility using Browsershot which automatically tests different platforms. Favicon is one of the factors that some business owners forget. Remember that this is an element that makes your website memorable as it helps with branding. Tell your business website team to create a customized favicon for your site if you haven't already. Check all of your links - both internal and external. It may take a while since this is done manually, but it's worth the effort if you do it now. You don't want those 'dummy' links that most web designers and/or developers forget to check after developing your site offline. 404 pages are often overlooked, but they are quite important especially when a previously existing page becomes inaccessible in the future. If you have a blog on your site, it's best to setup an RSS feed so your visitors can subscribe to your posts. You can place the RSS feed icon together with your social media icons. Driving more traffic through social media is now the norm. So make sure you regularly have shareable content via social media. You can add Facebook, Twitter, Pinterest, Google+ and other social media buttons. Your small business website solution will be able to incorporate these into your website's HTML or CSS code. Test and check your website's features once it's transferred from development server and made live. Such settings may affect the file structure and possibly break your website's functionality. Test your site and see if it will break. Last but not least, make sure to have a backup of your website. You can save your data in cloud space or any other location just to ensure that you have backup data when your site crashes. You may use tools or plug-ins for automatic backup. 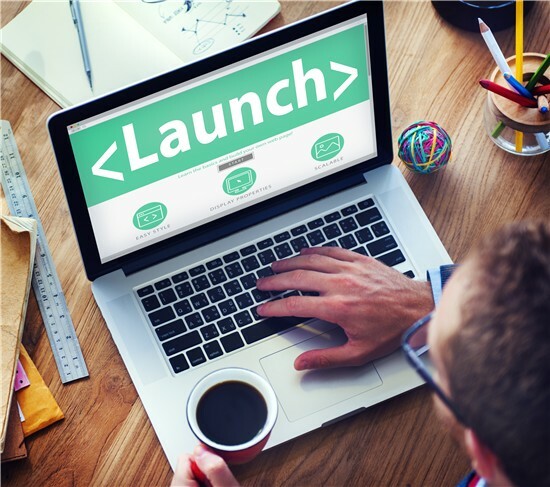 So, are you ready to launch your website? Have you found any errors along the way? Checking these factors before the launch will help you improve and find out early if ever there's anything wrong with your website. The other key to your success is to have an outsourced web development team to ensure you'll have a fully operational and trouble-free website launch. If you need to get in touch with a business website team, give us a call or send us an email.